Note: The part of this teaching relating to Adam and the Woman is out of my book entitled “Adam and the Woman.” There are many rich truths in this book, so I encourage you to purchase it. The story of Adam and the Woman when they were first created is a foreshadowing of Jesus and His Bride. It is available on Amazon in print or in kindle. Jesus is the Light of the world in the beginning of scripture. He is the Light of the New Jerusalem at the end of scripture. Revelation 22:23-24 says of the New Jerusalem, “The city does not need the sun or the moon to shine on it, for the glory of God gives it light, and the Lamb is its lamp. The nations will walk by its Light, and the kings of the earth will bring their splendor into it.” The Light and glory of the Father and the Son will be the Light of the New Jerusalem. The "kings of the earth" represent people of the Light who will bring His glory and light in them into this holy city of God. All that is of the flesh will be burnt up. Only that which glorifies God and Jesus will be eternal. What does life in the Light look like? First, we must see Jesus as He truly is in all of His grace, love, truth, power and glory. When we see the image of Jesus correctly, we will want to become that image. If Jesus is in us, then His attributes, love and truth will also be in us as He transforms us from glory to glory. Secondly, we must see ourselves as we truly are. Being open and honest with God and ourselves is imperative to our spiritual growth. But we all, with unveiled face, beholding as in a mirror the glory of the Lord, are being transformed into the same image from glory to glory, just as by the Spirit of the Lord. 2 Corinthians 3:18 When we see Jesus as He truly is, we will desire to be like Him. The Godhead must remove the veils from our eyes and over our hearts caused by our fleshly nature so we can see the glory of the Lord and become like Him. The dark areas of our hearts cloud the vision of ourselves and of Jesus. To point out peoples' sinfulness without pointing them to grace would discourage and perhaps bring self-condemnation upon them. Knowing the unfailing, unearned love of God frees us to become all that He wants us to be in Him. So it is important in ministry to always speak about the love and grace of God so people will not be discouraged or feel condemned. The unveiling is a process both in seeing ourselves honestly, and in seeing the glory of the Lord. We begin by seeing our sin and need for salvation, but eventually we will see the glory of the Lord in us through the transformation process. Because Jesus lives in us and we in Him, He will bring His glory into us and out of us. He illustrated this in His own flesh Body on the Mount of Transfiguration. Matthew 17:1-8 All He needs is an open, honest, humble and willing heart. As we make ourselves transparent, available and accountable to the Lord, He does the work of changing us. Change will come not by focusing on our sinfulness but by focusing on Jesus' grace, love and glory. God wants us to become “partakers of His Divine nature.” 2 Peter 1:4 The Godhead will birth His Divine nature into us grace upon grace and glory upon glory. God displayed His love and mercy in the beginning of scripture when Adam and the Woman sinned. God's ways do not change. He always was, is and will be a loving, gracious and merciful God. He is always drawing humanity to Himself. Unfortunately, to those who resist Him, He must execute His justice. In the beginning, the Godhead lovingly shaped and formed Adam by His very own hands into a perfect, sinless (holy) human being. What God creates is perfect because He is a perfect God. It is mankind who mars His perfect creation through sin. 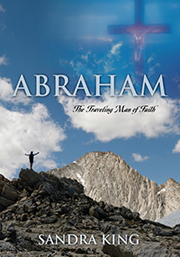 Adam was in the Divine image of the Godhead. He was clothed in the Godhead's glory and light. Then God took a rib of Adam and formed the Woman. Because the Woman was formed from a part of a perfect, holy Man/Adam, she too was holy and perfect. After shaping and forming the Woman, God presented her to Adam without spot or blemish. Together, Adam and the Woman were the image of God clothed in His righteousness, glory and light. Both were transparent before God and each other because there was no sin and therefore no shame. They walked and talked with God and each other openly and honestly. The Second and Last Adam, Jesus, is also perfect. The Godhead is lovingly shaping and forming a Bride for Jesus in His image and likeness. God will present the Bride to Jesus without spot or blemish. This Bride will have “made herself ready” for her Bridegroom. It was after the Woman and Adam sinned that they saw their nakedness and were ashamed.“When they heard the sound of the Lord God walking in the Garden in the cool of the day, Adam and his wife hid themselves from the presence of the Lord among the trees of the Garden.” Genesis 3:6-11 Before sin entered, Adam and the Woman walked and talked with God freely and openly. Now instead of running toward God, they ran from God and hid. Their sin has become a barrier to their intimacy with God. They had lost their garment of the light and glory and are now naked and ashamed. God wants to restore His covering of Light and glory to us once again through His precious Son. The cool of the day is just before darkness sets in. God wants to save Adam and the Woman from plunging into further darkness so He comes to Adam and asks, “Where are you?” This is the beginning of God's grace right here in the beginning of Genesis. God's love was always there because God is love and the Man and Woman were created in that love because they were in the image and likeness of God. Now God will display His grace to His erring children. God knew where Adam and the Woman were because He is all-knowing. He also knew that they had eaten from the forbidden tree. God in His love and grace will attempt to get the Man and Woman to confess their sin to Him. Notice God does not use condemnation or a judgmental attitude in calling to His children. Instead He questions them. He is seeking to save those who are “lost.” He didn't abandon these sinners. Instead He pursues them. Because humanity is the only part of God's creation who were created in the very image and likeness of God, God in His love for humanity will continually pursue those who are lost without Him. Fear of God now enters God's holy Garden. Instead of coming boldly and openly to God because of their intimate, holy relationship, Adam now fears God and hides from Him. When Adam and the Woman ate the fruit of the forbidden tree, they saw their nakedness in a different light. Their spiritual sight has changed! Their protection of God's glory and light are gone. “Who told you that you were naked? Have you eaten from the tree that I commanded you not to eat from?” Genesis 3:11 God asks them three questions. Had they been honest and open with God, I am sure He would have forgiven them immediately. Instead, the guilty sinners try to hide from God and justify themselves through blame-shifting. God's ways don't change and our human nature hasn't changed either. We still try to justify our sins and shift the blame of our actions on another. The only way our human, sinful nature can be changed is by the power of God which is love. We must be willing to participate in the process. Change and spiritual maturity cannot take place unless we yield to the process. Truth comes to us as “seed.” The transformation will depend upon what we do with the “seed” of the Word. If we are hearers only, it will fall to the ground and die. But if we water it and do it, it will produce the fruit of transformation in us and will help us grow into the image and likeness of Christ. In questioning Adam and the Woman, God is trying to get them to be open and honest with Him and accept the responsibility of their own actions. God wants transparency and accountability. Not only did Adam and the Woman's sin affect their relationship with God, it also affected their intimacy with each other. Instead of being open and honest, they will now justify and blame each other and the serpent. “It wasn't me; the devil made me do it!” Or “You made me do it!” The only way any loving relationship can survive is to take our eyes off of each others sin and shortcomings, and provide an open, loving and secure atmosphere to allow both parties to be open and honest with their hearts, fears, shortcomings, wants and needs. Then we are to fix our eyes upon Jesus and His loving ways in order to solve any problem that may come up. Jesus will strip away our facade and masks. He wants us to be naked and honest before Him. In Jesus we have the Light of Life. (John 12:46) We are no longer in darkness. Adam and the Woman try to camouflage their nakedness with fig leaves. We too try to justify and hide our sin from God and each other. Adam and Eve's camouflage represents their own works to cover sin. But God has another plan. God kills the first innocent animal and makes a garment out of the animal's blood-soaked skin to atone for the sin of the Man and the Woman. This, my friend, is God's love toward sinners through His grace demonstrated right here in the beginning of Genesis. Not only did God atone for their sin, He told the serpent/satan that he would be destroyed by the woman's seed. What deep love and mercy the Lord God has shown to this woman who had just sinned against Him. God will show an even greater love and mercy through His Son Jesus who is the fulfillment of God's promise here in Genesis. God will produce the Seed (His Son) who will come through a woman to defeat the serpent who is the deceiver of all of humanity. This is God's love and grace to all sinners. When Jesus came into the world, the Light of the world came. Jesus is the Light and glory of God in Mankind once again making us children of the Light. His Light is Eternal and cannot be put out. Jesus is the dawn of a new day – a new beginning. The light of Jesus enters our hearts and minds when we believe in Him. The Light of Jesus, His Word and His Holy Spirit will make order out of our fleshly, chaotic lives, just as the Word, Light and Life made order out of darkness and chaos at creation. Jesus will bring Godly order into our lives. Jesus is the Light that shines in the darkness of our soul. Without Him, we have only our flesh, passions and fears ruling us. His Light will strip us of our masks and the hidden secrets of our soul bringing us to a new, higher level of life. When we are in the darkness of sin, we don't know where we are or where we are going. Jesus will use His Word and His Spirit to lead and guide us into His glorious Light and presence. Because of His light and power, we no longer have to fear the darkness. People will love the Light or the darkness. (John 3:16-20) Satan works to keep people in the darkness, but God wants to draw people to the Light of Jesus. Satan has tried to extinguish the Light since the beginning of time. (John 1:5) It is a futile effort on Satan's part because Jesus is greater than any devil. Those who are evil fear the Light because they don't want their evil deeds exposed. People who are in the darkness of sin don't know where they are going. (John 12:36) Those who love the Light have the Word and the Spirit of God to lead and guide them so they will no longer walk in darkness. “Your Word is a lamp unto my feet, and a light unto my path.” Psalm 119:105 His Word will help us make right choices and decisions. His Word will help us see life as God sees it, value what He values and love what He loves. If we are to know God and His love, we must abide in His Word, and seek His face and His grace with our whole hearts. When we do these things, God's Light and glory will be our covering once again.